We’re dedicated to treating you with the greatest care in a way that delivers lasting results. In particular, we’ll apply our experience, precision and passion to the functional aspects of your masticatory system. This enables us to pre-empt the consequences of functional disorders, which can be serious, as well as reverse disorders of this kind. We have worked dedicatedly on the biologically correct reconstruction of masticatory systems affected by functional disorders since the start of the 1990s. The main principle our approach is based on is the consistent application of the biofunctional treatment concept developed in the U.S., which we have many years of experience with. This concept derives from the same principles found in ideal natural masticatory systems. Precisely observing and measuring such systems has shown that a few universal principles – a stable position of the temporomandibular joints, a precisely defined occlusion, and natural tooth shapes – are responsible for the long-term functional health of a masticatory system. Physiological function, comfortable chewing, longevity and esthetics are all predicated on these principles and on the tissues having the ideal biological shape. We have continuously refined our biofunctional treatment concept and perfected many details of it. 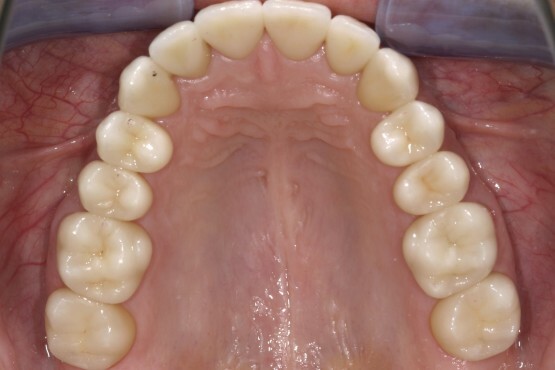 As a result, we are able to reconstruct masticatory systems affected by functional disorders with a predictable long-term result so precisely that a splint is no longer needed. While esthetics is not the primary goal of our treatment concept, healthy and functional masticatory systems automatically make a good esthetic impression: The biological credo of “form is function and function is form” also applies to the biology of the masticatory system. This is one aspect in which the biofunctional treatment concept differs greatly from dental procedures that are purely cosmetic. Biofunctional dentistry is about creating optimally functioning masticatory systems characterized by longevity and natural beauty. If this is not the case, the individual anatomical structures and tissues are inevitably exposed to unnatural stresses. Functional disorders of this kind can also be caused by inadequate dental restorations or by poorly performed orthodontic treatment. Affected patients often do not notice these disorders for a long time, as the masticatory system can temporarily adjust to this situation and “get used” to it. This can cause teeth to be continuously worn down over the years, which is neither a natural process nor a typical side-effect of aging. 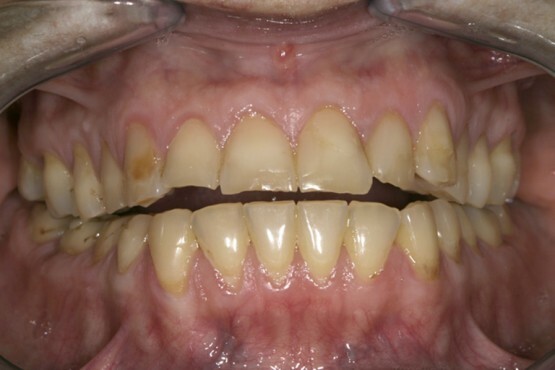 Such patients are often incorrectly labelled as “teeth-grinders” or “bruxers“, or it is assumed that their complaint is psychogenic in origin. Neither of these approaches addresses the problem. However, it is also possible for patients to feel that their bite is incorrect but not display any other symptoms at first. When the body can no longer compensate for these disorders, a variety of diseases and symptoms can result. As the masticatory system does not constitute an isolated organ, these disorders can affect the entire body. They are grouped under the collective term “temporomandibular disorders” (TMD). One of the main characteristics of a healthy masticatory system is that the temporomandibular joints are in the physiologically correct position. On this basis, in the first treatment step, we guide the temporomandibular joints into their natural healthy positions. To do this, we employ – expect in the case of certain temporomandibular joint disorders – an elaborate MAGO splint therapy, which is a specialized variant of the tried-and-tested Michigan splint. 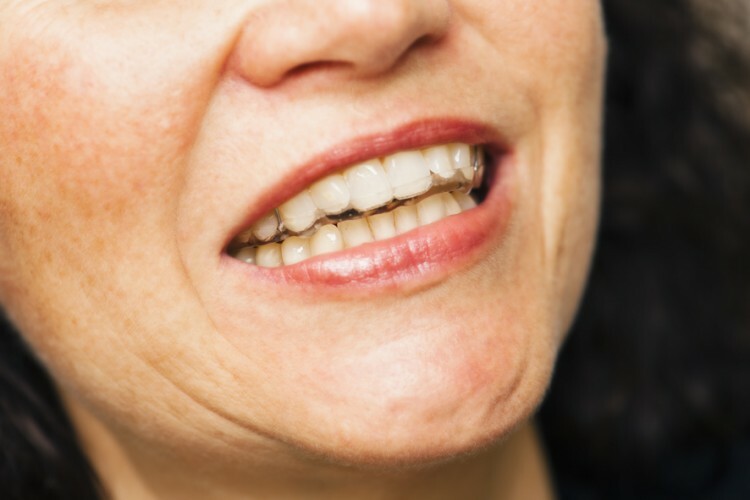 Many details of this therapy have been improved and perfected based on years of experience, and the MAGO splint has nothing in common with a simple occlusal splint or night guard against bruxism. 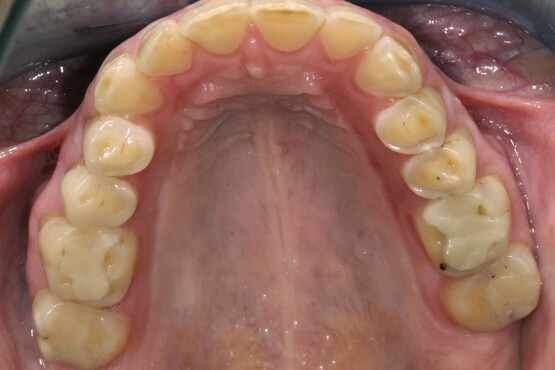 No direct changes to the teeth are necessary in this treatment stage, as any biomechanical disruptions present are fully remedied by the MAGO splint. Thanks to its highly precise and targeted design, the MAGO splint simulates the correct biomechanical chewing motion, in which the temporomandibular joints, masticatory muscles and teeth work together in perfect harmony. The symptoms caused by a dysfunctional masticatory system may disappear after just a short period of wear (a few weeks), although if they have long since become chronic, their alleviation may take several months. The ongoing process of regenerating the structures and tissues of the masticatory system facilitated by the MAGO splint requires regular readjustments as well as refinements to the design. This is essential for splint therapy to succeed. 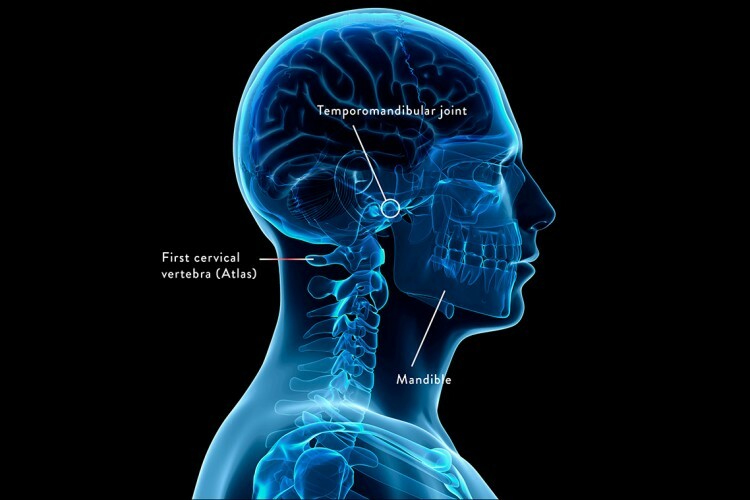 At the end of MAGO therapy, the temporomandibular joint structures are so stable and well-regenerated that their physiologically correct centric position can be reliably and reproducibly determined. This is imperative to the functional accuracy of the subsequent reconstruction, and thus to the longevity of your teeth. As the masticatory system does not exist in isolation in the body and partakes in what is termed “ascending and descending functional phenomena” (bidirectional interactions between the pelvis and the temporomandibular joint), we also consider body posture in the pretreatment. Here, in parallel to MAGO therapy, certain physiotherapeutic and osteopathic measures have proven themselves highly effective, especially if TMD symptoms are present. In some cases, MAGO therapy is what makes it possible for these treatments to succeed permanently. Only by carrying out this precise, elaborate preparatory work can we ensure a lasting, stable reconstruction of your masticatory system. 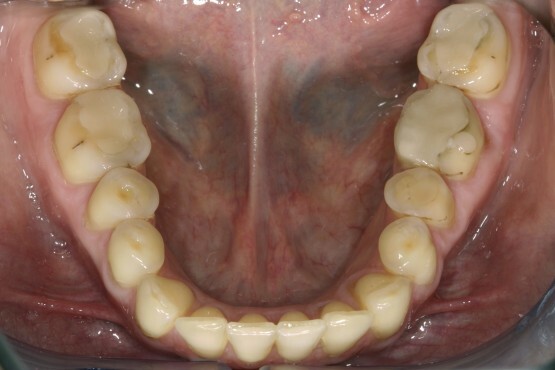 Functional diagnosis and treatment: through a functionally correct adaptation of the teeth the masticatory system is restored to a perfect biomechanical condition, thus rendering an occlusal splint redundant. If this is not desired and symptoms existed previously, the patient can continue to use the MAGO to stay asymptomatic. Based on the correct temporomandibular joint position determined at the end of Stage 1 and a range of subsequent measurements of the temporomandibular joints, the changes that need to be made to individual teeth in order to create a harmoniously functioning masticatory system can be determined. 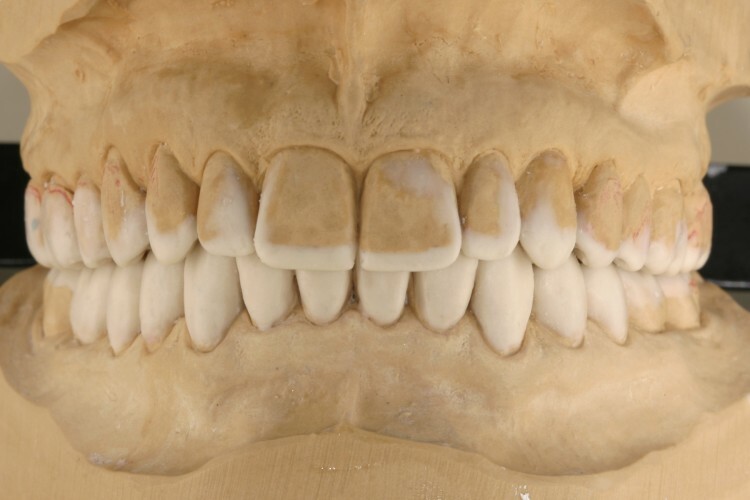 To do this, the future shape of each individual tooth needed to create a perfectly functioning overall system is worked out in hinge-axis related jaw models. 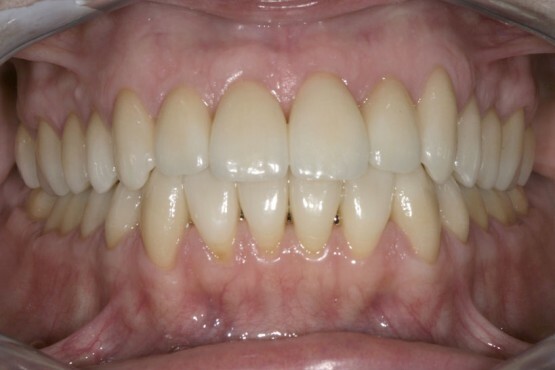 The required changes to the teeth can be anything from minimal shape corrections to major restorations. In some cases, orthodontic pretreatment is the best way to remedy major malalignments of individual teeth in advance. Developing this wax-up model requires great expertise, responsibility, and an understanding of the biomechanics of the masticatory system. We discuss every patient’s finished wax-up with them and explain the individual treatment steps needed to reproduce it in the mouth. Reproducing the wax-up in the mouth with lasting successful results requires tremendous experience and precise, extensive planning. 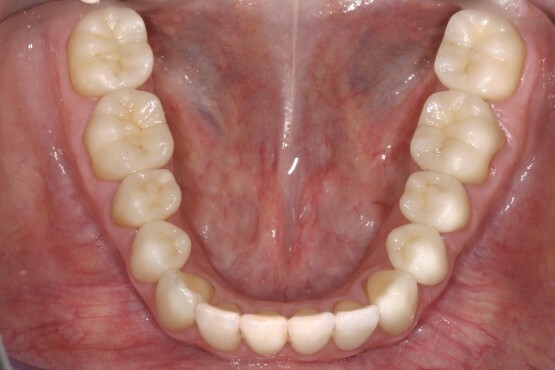 For instance, it is imperative that the temporomandibular joint position determined in Stage 1 is not disrupted, and it is important to understand that the tactile sensitivity of individual teeth is far greater than that of splinted teeth. Taking nuances like these into account is crucial to long-term success. For these reasons, in most cases, at least a few groups of teeth are initially fitted with long-term temporary restorations made from a high-performance composite. These restorations are crafted in the dental lab just as precisely as the final restorations (normally all-ceramic restorations) that follow them, but they have the advance that they can be adjusted in the mouth, which is necessary due to biological processes in the periodontium, musculature and temporomandibular joints. It is almost impossible to tell the difference between these and the final restorations, and splints are no longer needed at this point. Thanks to our in-depth experience, we are familiar with the particular challenges of this treatment step and know how to overcome them. After a certain period of time (generally a few months) and once the necessary adjustments have been made, the long-term temporary restorations can then be replaced by final restorations – which are normally all-ceramic restorations – in individual treatment steps. feels great and chews great!